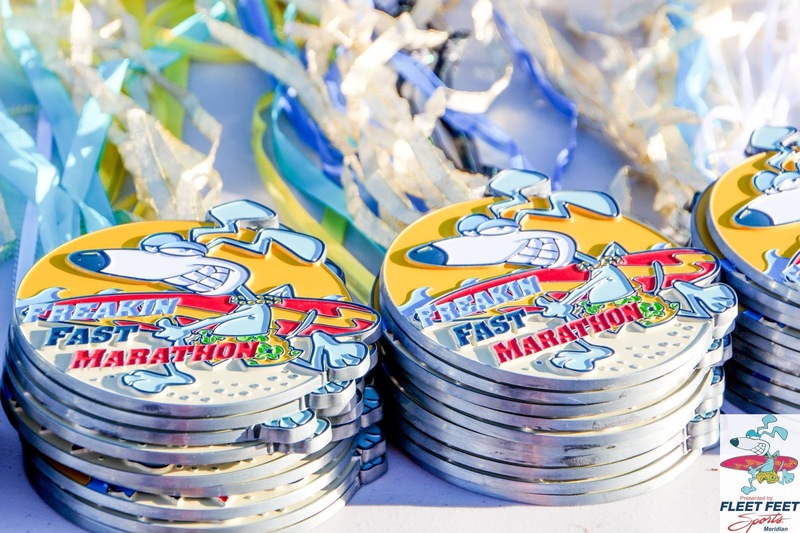 Last year, I thought that running two marathons in six days was a good idea (the City of Trees Marathon followed by the Freakin' Fast Marathon). I may have gotten a new marathon personal record (PR) of 3:06:58 with my second race, but man I was sore for WEEKS! One would like to think I’d have learned my lesson—two marathons in a week is not a good idea! But, FOR SOME REASON, when I realized a week before the Freakin' Fast Marathon that it again fell just seven days after the marathon I’d been training all year for (the Air Force Marathon) I—in a moment of insanity and just three days prior to the race—signed up to run it. Good heavens, I was doing it again. To be fair, I actually signed up for the FF Marathon on a “why not” whim, not actually knowing if my legs would be recovered enough to run it. It made my family super anxious because they knew that I have a tendency to overdo things and they were nervous that I was running myself straight into an injury. My knees had really bothered me during the Air Force Marathon, and the last thing I needed with everything I have in store for this next year was some sort of strain, tear, sprain, etc. 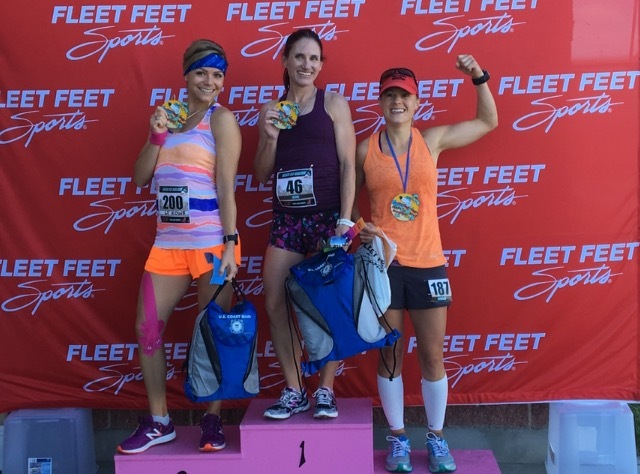 I told them that I wouldn’t do the race unless I felt like my legs and knees were healed enough to be able to do it… but we all know me and of course they ended up “being recovered” enough for me to do it. Because what’s a little knee pain, right? Sure, it was probably not the smartest decision, but that’s neither here nor there. The next morning, I caught the bus up the hill at 5:30 am, loading up with all the other crazies who were braving the morning chill to get their marathon kicks on the fastest course in the world. Most of the runners who attempt the Freakin’ Fast Marathon are not from Idaho. They fly/drive over in an attempt to get their best PR or a Boston qualifying (BQ) time. We chatted and discussed the race on the 60-minute ascent up Bogus Basin, our local ski hill, anticipating the grueling hours ahead. When we got to the top, we warmed ourselves on the buses before we moseyed to the start line just prior to the 7:20 am start. In true Idaho fashion, the race kicked off with the honking of the race directors’ car horn. 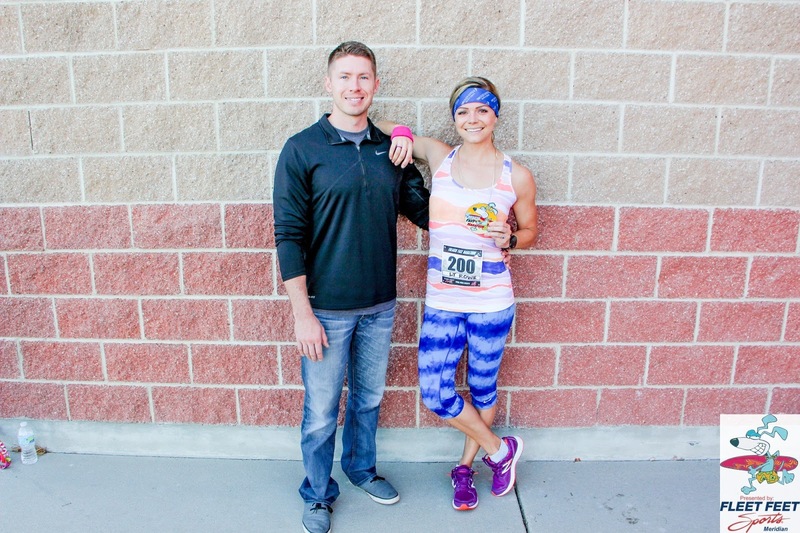 (Sidenote: Wayne and Christie of Final Kick Events always do an amazing job of putting on races, and that’s why I love doing this race so much!) 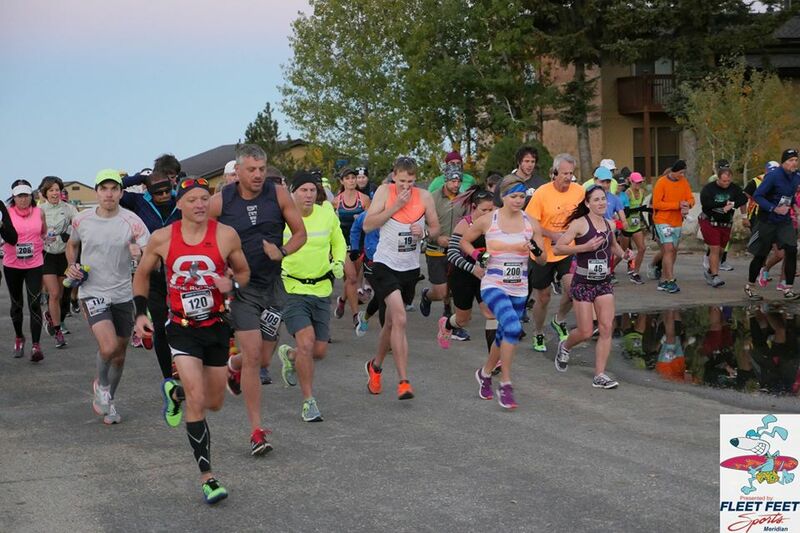 And just like that, “BEEEEPPPPPP!” and we were off… 95 of us jetting down the Bogus Basin ski hill for yet another downhill and freakin’ fast marathon. They don’t call the FF Marathon the fastest in the world for nothing. Before you know it, your average 7:00-7:15/mile marathon goal pace quickly drops to 6:20/mile and there’s nothing you can do about it. Your legs just fly down that hill. Shortly after beginning, I was passed at mile four by the gal who ended up winning 1st place female and 2nd place overall. She was smokin’ it, and I cheered her as she passed. From mile four through mile 25, the only people I saw on the course were aid station volunteers. I was a bit ahead of the main pack along with several others who were far enough in front of me to be out of sight, and it was just me on the open road for 21 miles. While my legs were turning over a pace of about 6:30/mile (and kept wanting to go faster), I kept trying to slow myself down, aiming for a time closer to 6:50/mile in an attempt to try to get a sub-3-hour marathon without injuring myself. I am pretty sure I could have maintained a faster mile pace on the 20-mile downhill portion of the race, but all the worries of my family were in the back of my mind and I figured that finishing injury free—even if it was slower than my goal time of 3:00:00—was certainly worth not risking any long-term damage. So slow down I did. I sipped Gatorade and water at almost every aid station, downing a root beer flavored Gu at mile nine. I also grabbed a vanilla Gu for mile 18, but didn’t end up taking it—thinking I’d be okay—which was mistake number one of many. (Sidenote: if you’re a marathoner, no matter how much you think you won’t need that Gatorade, water or Gu several miles down the road—DRINK/EAT/TAKE IT ANYWAY. When the exhaustion hits you and it’s too late to down some fuel, it’s better to be safe than sorry!). I took each winding turn as it came, overlooking the city of Boise and snaking down the foothills one step at a time. It was such a peaceful, beautiful, sunny, warm day. I prayed the whole way, asking that God would protect my knees, feet, hamstrings and calves, all of which were starting to ping me around mile 17, which was where we hit our only uphill portion of the course. I took it head on, telling myself it would be over soon—which it was after about a mile—and settled back in to the downhill stride. I had trouble picking back up my 6:40/mile pace at that point though, settling in closer to 7:00/mile. I still felt good, but my legs were just tired. Two miles later, I hit the last six miles of the course—the flat stretch—and it took everything I had to maintain any sort of pace. After going pretty much entirely downhill (and a steep downhill) for 20-miles, a flat road feels like you’re trying to pick up and move blocks for legs. I somehow managed to swing my arms enough to keep myself moving, mustering between 7:20-7:40/mile for my last six—but it just wasn’t going to be fast enough. With 1.5-miles left to go on the course and only about nine minutes left until I hit 3:00:00, I knew I wasn’t going to come in sub-three. I can run a 9:00 1.5-mile, but that’s when I’m fresh at my Air Force PT Test… not after running 25-miles already, you know? I was bummed that I was going to miss my goal, but I was determined to finish strong. 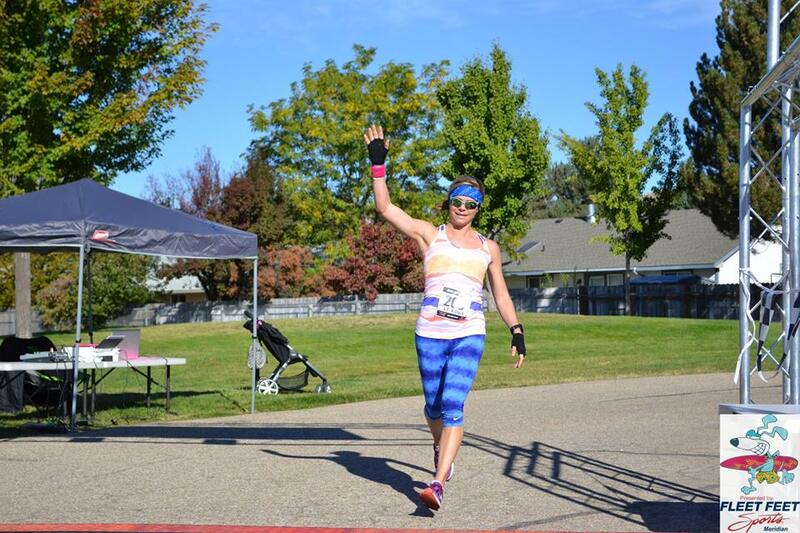 As I came around the finish, I saw my mother-in-law jumping up and down and screaming my name, “Aunie! Aunie! Aunie! Run my little cheetah, run! Way to go Aunie Girl!” She and the race director, Christie, were both cheering me on so I picked up my pace as I ran past the 26-mile marker. I heard Daniel’s family rooting for me and saw Daniel standing at the finish—a huge smile on his face. I crossed the line at 3:00:35, just thirty-five darned seconds slower than my goal time, but a new PR and a killer race to boot. I was just so happy—I had finished it! We celebrated with hugs and photos (and a bagel, cookie, an apple, etc.) and chatted up the other crazies as they finished the race. See more photos from the race below, as I feel like I need to end this recap now because it’s surely turning into one of my longest posts to date. Ah, race recaps… so many details, you just can’t leave any out! All of us crazies up at the top of the hill, ready to run our little hearts out down the Bogus Basin hill. And we're off! The dude in the red was the overall winner, and the gal next to me was the overall female winner. They were speedy! I'm clearly excited to be running... I was anticipating the pain I knew would set in about 20-miles later! Awesome and huge medals waiting for us at the finish. Coming across the finish at 3:00:35! The race director ran up to me and was like, "Come on, Annelise! 35 seconds... really?" He knew how badly I wanted to be sub-3! All smiles at the finish. So glad it was over, and happy to PR by over 6-minutes! 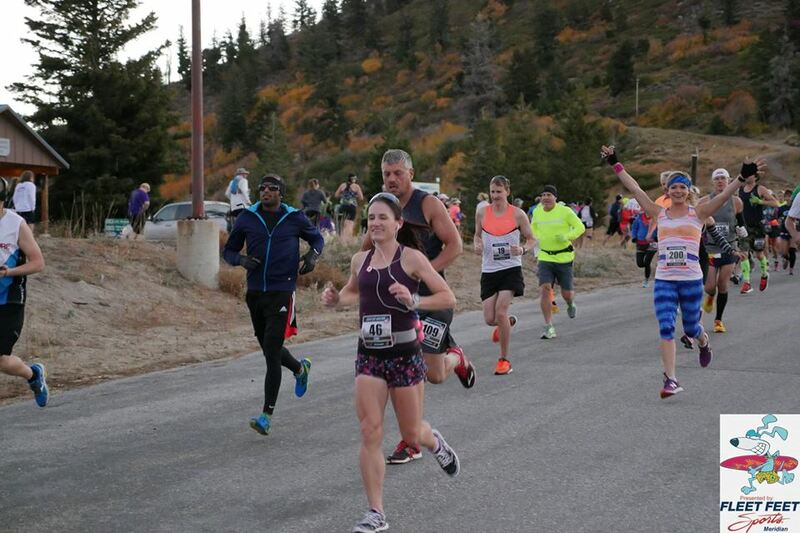 I ended up finishing in 3:00:35 as the 2nd place overall female and 5th place overall. 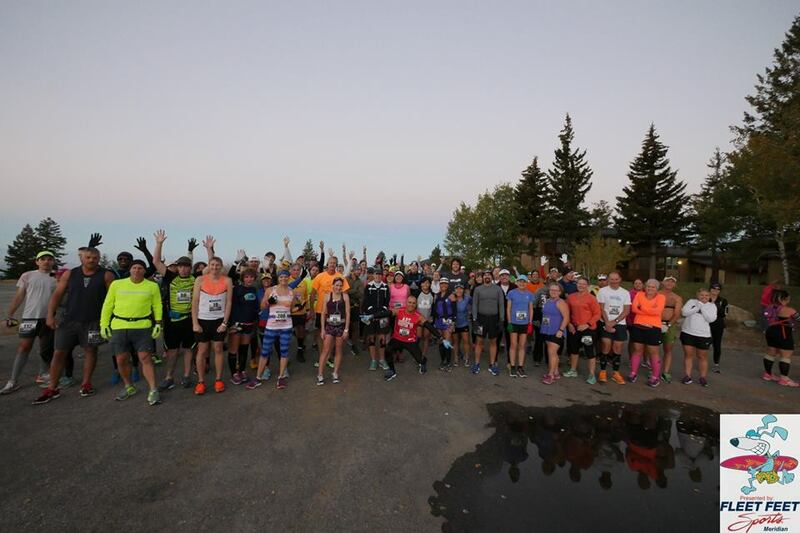 What an awesome crowd of runners we had! 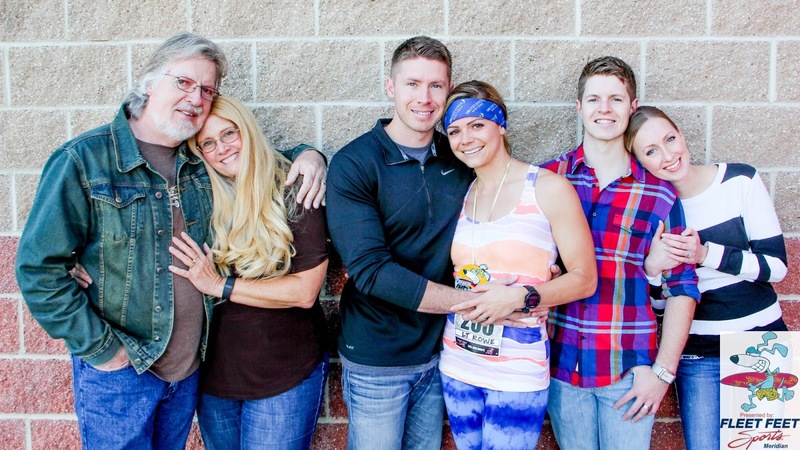 So grateful for Daniel's amazing family who came out to support me and cheer me through the finish. Thank you, guys! That meant so much to me to have you there! All in all, I may not have achieved my sub-3-hour marathon goal, but gosh—I came pretty darn close! As a matter of fact, had I gone just a smidge faster and shaved 1.5-seconds off each mile, I would have finished at my goal time. Oh well—hindsight, right? When all was said and done, I ended up finishing as the 2nd overall female, 5th overall finisher, and set a new personal record for myself by 6:23. I’d say that’s a worthy race, indeed. In fact, in the last year, I’ve qualified for Boston four times over. Maybe one of these days I’ll stop getting scheduled for military trainings so I can actually go run that marathoner’s dream of a race… just maybe. I’m also happy to report that while I’m still not quite able to run at all nor walk normally yet due to the unwavering soreness in my legs, I did finish the race injury free. I can’t say I’d ever advise running two full marathons within a week of each other, but for the last two years I’ve PR’d and had even faster recovery times with both of my second races. Again, I’m not saying it’s a good idea… but I wouldn’t rule it out for myself in the future, either. I may be crazy, but man, I just love running! Thanks to Wayne & Christie with Final Kick Events for the great race, and thank you to Daniel and his family for coming out to support me at the finish! Every single person who has cheered and encouraged me along the way has made an impact, and I’m so grateful for each and every one of you!